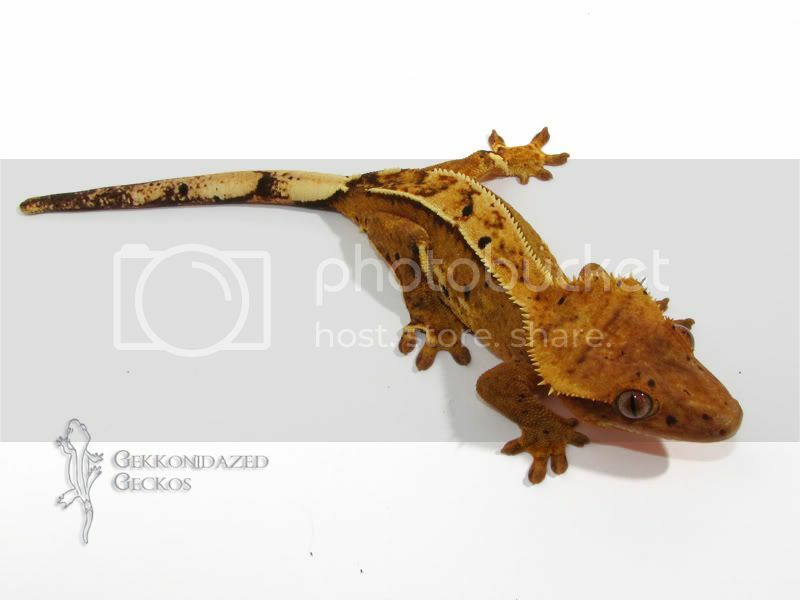 She's what we are looking to produce - creamsicle pinstripes. She has a lot of dalmation spots, which normally I don't like, but I think she's so neat. Hopefully she won't pass along too many. 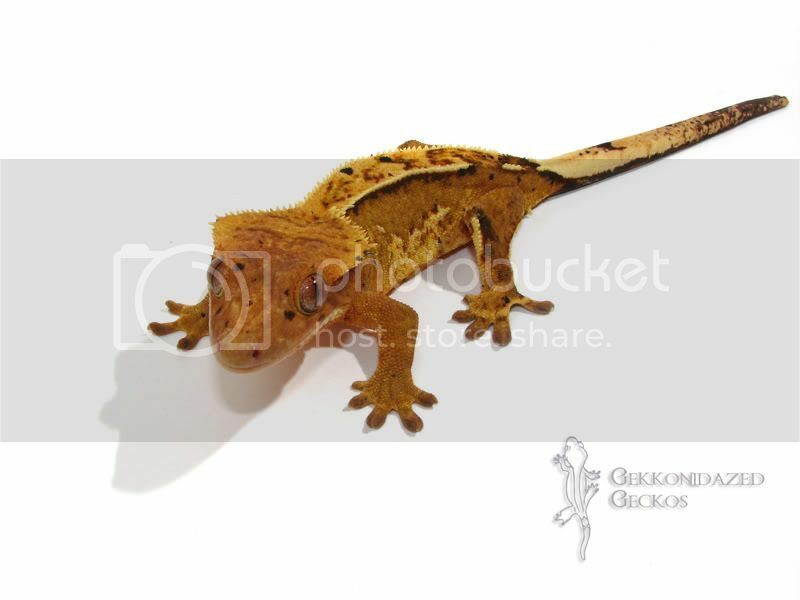 We will most likely pair her next year with our pinstripe male or our creamsicle male. We'll see! Lookin good! Hope she produces what you are aiming for! She's beautiful! I love (and want) her. Any pics of who you will pair her with? Thanks for the kind words Krystal. As always, it was a pleasure doing business with you. Between Albany and Syracuse N.Y.
Wow. 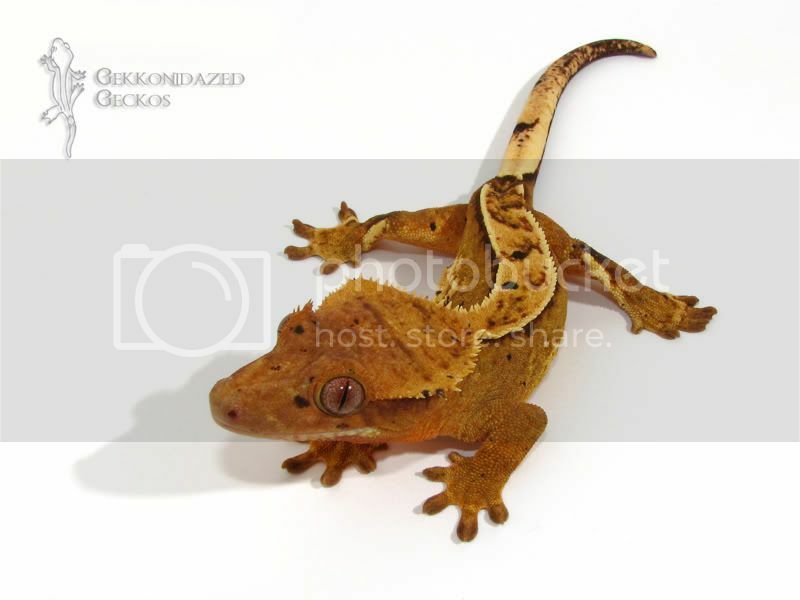 That gecko is simply stunning!! !